The open source Google2 plugin is using the latest Google API and offers full support for the Google Calendar API v3. It uses oAuth, so you never have to ask your user for a password and store that. The plugin makes it possible to synchronize calendar data from a Servoy solution with a Google account both ways. That way, other clients like an iPhone or Apple’s iCal and AddressBook can also synchronize their data with Google and the Servoy solution. The Google2 plugin is a rewrite of the popular Google plugin by servoy-plugins.de. 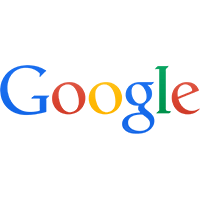 The original Google plugin uses client authentication (username and password) and an older version of Google’s API. For the Calendar API, Google deprecated the older version of the API by the end of last year. The Google2 plugin can be used along with the Google plugin for other Google services.